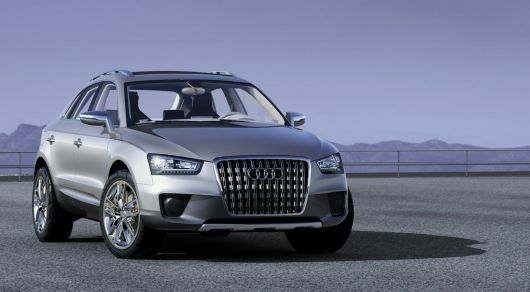 Manufacture of the new Audi Q3 will begin in 2011 with an annual production capacity of up to 80,000 units. Audi looks into the future. 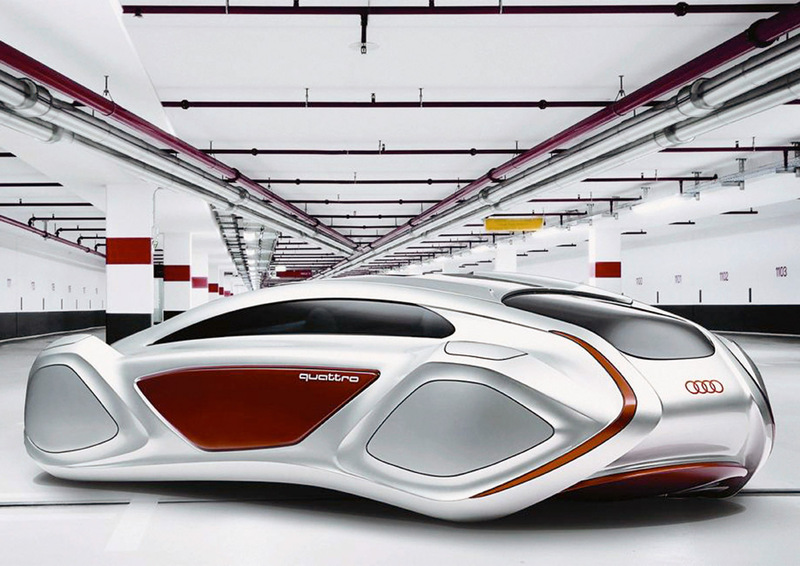 Under the title �Intelligent Emotion,� students at Munich University of Applied Sciences, aided by Audi, have developed visionary ideas for the mobility of the future � from a hybrid supercar to an alternative concept for lightweight design of interiors. Providing superlative customer service while achieving strong overall business performance was no simple feat as economic headwinds worsened toward the end of last year. Yet 35 Audi dealers nationwide excelled on both scores, earning Magna Society awards for 2008. AUDI AG established Audi (China) Enterprise Management Co. Ltd., Beijing, on April 18, 2009. Its business purpose is to coordinate all Audi activities in China, in close cooperation with the Changchun-based joint venture FAW-VW. The new company�s activities will include operating a test center for infotainment systems in Beijing. Before stepping into a new car, you need to step into a dealership � an experience which has long been characterized as hectic, overwhelming, and disjointed. But what if a dealership was designed like a luxury vehicle itself, where every detail was taken into account � down to the flowers and coffee cups? 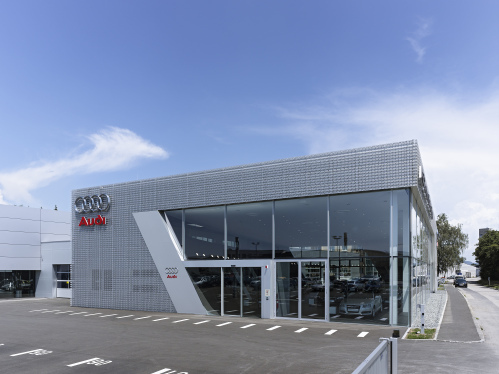 The Audi commitment to progress goes beyond vehicles to redefining dealerships themselves. AUDI AG delivered 12,156 vehicles in China (including Hong Kong) in April. This marks an increase of 21 percent compared with the same month of the preceding year, and is a new sales record for the company. Luxury sports sedans are made all over the world, but nobody does 'em quite like the Germans. The BMW 3 Series has stood as the champion of the segment for decades, but not anymore. 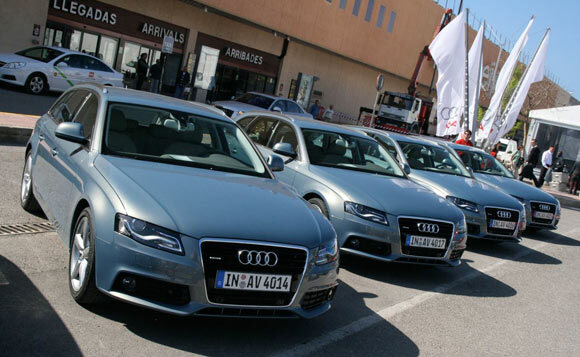 According to government records of new vehicle registration, the Audi A4 was the best-selling premium car, beating out the 3-Series, along with the Mercedes-Benz C-Class. By the numbers, 98,714 A4's were sold in Germany over the course of 2008, making it the second most popular new car in Germany behind the Volkswagen Golf. But lest you think Germans are enamored only with Audi's new A4, which was introduced last year, the A6 and TT also topped their segments, contributing to the strongest growth (or weakest decline) in the German market and across Western Europe. The innovators in all-wheel traction and aluminum construction saw their entire market share rise last year by 0.8% to a total of 8.1% of the German new car market, details of which you can read in the press release after the jump. The still under development drop-top variant of the Audi R8 will arrive in U.S. showrooms in about a year's time according to a report from Insideline citing, but not naming, company officials. The report goes on to say that Audi's product planners in the USA managed to convince the firm's execs to go for a full open top version of the R8 instead of a less costly and complicated targa-roof solution. It is also reported that the R8 Spyder -the name has yet to be confirmed- will be available with both the basic 420HP 4.2-liter engine and the top-of-the-line 5.2-liter V10 with 525HP. Audi R8, originally uploaded by Matthew Llewellyn. Audi R8 V10, originally uploaded by jarapet. The rumor-mill is chattering about a potential new Audi model. The Audi E1, seen in these renderings from our archive, would share the same platform as the VW up! AutoExpress claims the car would be slotted below the Audi A1, and come in several different variants. Choices could include petrol and diesel to compliment the enticing all electric option. If VW were to go to production with a plug-in hybrid based on the VW space up! blue, it would not be surprising to see an E1 hybrid as well. Engines could include a 600cc two-cylinder turbo, and a 1.2-litre three-cylinder. As part of the “New Small Family” of vehicles, the Audi E1 would be built at Volkswagen’s Slovakia plant. The E1 would be priced around €13,500. Not such a bad price considering you might get up to 94mpg in this car. With those numbers, the 2+1 car will be looking to compete with the Smart electric ForTwo and the Fiat 500 hybrid, while still keeping some space for luggage. Audi R8 V10 5.2 FSI quattro is the next variant of its top-of-the-line model. With the Audi R8, the brand has established itself at the forefront of high-end sports cars from the very start - and now comes the Audi R8 V10. Its 5.2-liter, ten-cylinder engine churns out 386 kW (525 hp) and 530 Nm (390.91 lb-ft) of torque, which makes for breathtaking performance. With superior Audi technologies such as quattro all-wheel drive, the lightweight aluminum body, the innovative all-LED headlights, and its striking design, the Audi R8 V10 takes pole position against the competition. The Audi R8 V10 is the result of cumulative know-how from Audi's string of Le Mans victories. Its naturally aspirated engine combines racing technology such as dry sump lubrication with FSI gasoline direct injection. The ten-cylinder design is the perfect synthesis for impressive top performance, mighty pulling power, and low weight. Starting in 2009, this engine will also prove its potential on the world's racetracks - in the new Audi R8 GT3 racing car Audi is developing for customer teams in conformance with the GT3 rules. The specific power output is 100.9 hp per liter of displacement - and each hp has to propel only 3.09 kilograms (6.91 lb) of weight, because the Audi R8 V10 in the version with the six-speed manual gearshift weighs only 1,620 kilograms (3571 lb). The engine accounts for 258 of these kilograms (569 lb) - that's only 31 kilos (68 lb) more than the V8. The Audi R8 V10 5.2 FSI quattro rockets from zero to 100 km/h (62.14 mph) in 3.9 seconds. In the version with the sequentially shifting R tronic it reaches 200 km/h (124.27 mph) in another 8.1 seconds. Even then its propulsive power hardly lessens: it's sufficient to reach a top speed of 316 km/h (196.35 mph). The immense force, the spontaneity and the thrust of the acceleration, plus the sound of the engine - all these impressions coalesce into a breathtaking sports car experience. The V10 plays a concert with growling bass tones and powerful high notes, which grows into a grandiose fortissimo as the engine revs up. This sonorous acceleration doesn't reach its limit until 8,700 rpm. The 5.2-liter powerplant uses direct injection according to the FSI principle developed by Audi. A common rail system injects the fuel into the combustion chambers with up to 120 bar of pressure. Direct injection reduces the susceptibility to knocking and provides a certain amount of cooling through the evaporation of the fuel, which in turn supports a high compression ratio of 12.5:1. This in turn contributes to superior performance and improves fuel economy. 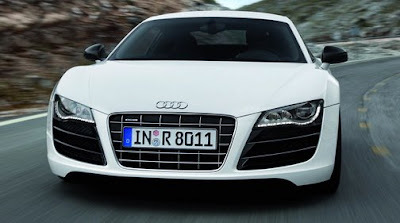 The Audi R8 V10 with R tronic gets by on an average of 13.7 liters per 100 km (17.17 US mpg). The Audi R8 V10 5.2 FSI quattro has a six-speed transmission. A precise and smooth-shifting manual transmission comes as standard equipment. The sequential R tronic is available as an option. The high-tech gearshift conveys an authentic racing feel - with the rocker switches at the steering wheel and the short shifting times of usually less than one-tenth of a second. When the driver actuates the Launch Control program by pressing a button, the Audi R8 V10 takes off in a vehement quick-start with electronically controlled tire slip - both with the R tronic and with the manual transmission. A contributing factor to the wide lead in traction and driving safety of the Audi R8 V10 over the competition is quattro all-wheel drive - it's the superior technology especially for a high-performance sports car. Four powered wheels get more grip than two. They enable the driver to step on the gas sooner when coming out of a curve. It's not only the traction that benefits, but also the transverse dynamics and the stability. The Audi R8 chassis offers both dynamic performance and astonishing levels of comfort on long distances. This high-performance sports car from Audi eagerly responds to any steering action with instant ease, achieves lateral acceleration of up to 1.2 g, and handles any situation with superb driving safety. Its mid-engine design provides an ideal axle load distribution of 44 to 56 percent. The wheel suspensions on dual aluminum wishbones front and rear - a classic racing technology - are optimized for neutral self-steering characteristics. Even more than in the eight-cylinder R8, this setup is designed for maximum performance. 19-inch wheels equipped with tire pressure monitoring display are standard equipment. Their 10-spoke Y design is exclusive to the Audi R8 V10. Tire sizes are 235/35 front and 295/30 rear. In the Audi R8 V10, deceleration is provided by an extremely muscular braking system - eight brake pistons at the front and four at the rear grasp the brake disks, which are ventilated and perforated to ensure unimpeded heat transfer. The brake disks on the front axle have a diameter of 380 millimeters (15 in); the rear discs span 356 millimeters (14 in). The Audi R8 V10 5.2 FSI quattro is optionally available with a ceramic brake system whose disks are made of a composite material containing high-strength carbon fibers and abrasion-resistant silicon carbide. These are especially light: their combined weight is nine kilograms (19.84 lb) less than the weight of equivalent steel disks. The ceramic brakes can easily cope with the harsher requirements of racing, won't corrode, and have a typical service life of 300,000 kilometers (186,400 miles). Their calipers are painted charcoal gray and emblazoned with the inscription "Audi ceramic". The wide, full shape of the Audi R8 V10 5.2 FSI quattro seems to hug the road. The brawny proportions and prominent wheel wells underscore its potential. The high-precision styling of the lines and the elegant curve of the roof are typical Audi features. A continuous contour optically connects the front, the wheel wells, the sides and the rear. Located well forward, the cab visually expresses the mid-engine design. The vertical air scoops (sideblades) on the sides are also indicative of the engine location. The massive aluminum gas cap is mounted flush within the right sideblade. The design of the Audi R8 has already impressed experts, as evidenced by the double victory in the "World Car of the Year Awards 2008". In the ten-cylinder model, the styling has been sharpened up even more. A very distinctive highlight of the Audi R8 V10 are the all-LED headlights as standard equipment. Audi is the world's first automaker to use LEDs for the high beam, low beam, daytime running lights, and turn signals. Each headlight integrates 54 of these high-tech light sources. With a color temperature of 6,000 Kelvin the LED light closely resembles daylight, which is less tiring to the eyes in night driving. Further advantages of the LEDs include brilliant illumination, low energy consumption, and a virtually unlimited service life. Special details also distinguish the body of the Audi R8 V10. Its sideblades are more accentuated than in the eight-cylinder version. The side sills are more striking and wider; the exhaust grilles at the rear windows have a matt aluminum look. Through the large rear window, the ten-cylinder engine is clearly visible in its consummate technical beauty. When in motion, this Audi high-performance sports car creates a downforce that keeps it in firm contact with the road - thanks to a rear spoiler which deploys automatically at 100 km/h and the fully enclosed underbody, which terminates in a sharply upward-curved diffuser. The dominant color at the rear end is high-gloss black, including the settings of the LED tail lights. The air outlets at the rear end also have only two cross-braces, and the exhaust system terminates in two large oval tailpipes. The body of a sports car must be especially lightweight and rigid. Audi meets these requirements with the technology of the Audi Space Frame (ASF) and its high-tech aluminum construction. The body-in-white of the Audi R8 V10, which includes an engine frame made of ultra-light magnesium, weighs only 210 kilograms (463 lb), and the quality of its lightweight design - the relation of weight to torsional rigidity - is the best in the sports car segment. The body is composed of profile extrusions, sheet aluminum and very complex gusset castings, all held together by 99 meters (325 ft) of welding seams, 782 rivets, and 308 special screws. The interior of the Audi R8 V10 provides a unique racing ambience at the luxury level. Its dominant element is the so-called monoposto - a wide arc that contains the steering wheel and the cockpit. As always in an Audi, the workmanship is of the highest quality. The surfaces of the dashboard and doors are lined with fine materials and adorned with precisely stitched decorative seams. Many customizing solutions are available: Audi supplies leather in a wide range of colors, packages with a carbon and piano-lacquer finish, or a made-to-measure luggage set. quattro GmbH, which has developed and is producing the Audi R8 V10, also provides solutions for unconventional requirements. The Audi R8 V10 5.2 FSI quattro combines its colossal performance with a generous complement of standard equipment. Highlights include heatable seat covers made of Fine Nappa leather, a driver information system, the navigation system plus and the Bang & Olufsen sound system along with deluxe automatic air conditioning and an alarm system. The instruments and the gearshift knob are decorated with red rings; the footrests and the rocker switches of the R tronic have an aluminum finish. The list of options includes other highly attractive features - such as the Audi parking system advanced with its integrated rearview camera or numerous Audi exclusive customization options. Various leather packages provide a luxurious touch, while the bucket seats from the Audi exclusive program bring a highly concentrated racing atmosphere into the Audi R8 V10. 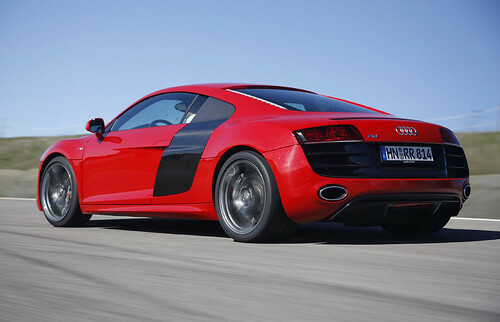 The Audi R8 V10 5.2 FSI quattro will be rolled out in Germany in the second quarter of 2009 at a basic price of EUR 142,400. Audi is presenting a revolution in the top class at the Detroit Auto Show 2008 - the first 12-cylinder diesel engine in a high-performance roadgoing sports car. The V12 TDI with a displacement of six liters powers a concept car based on the Audi R8. This unit generates a huge 500 hp and 1,000 Newtonmeters (737.56 lb-ft) of torque. Audi is writing a new chapter in diesel technology with this power unit. Equipped with the expertise that Audi has built up through its motor sport activities, the R8 V12 TDI in matt "Grace Silver" embodies superb road handling, pioneering technology and fascinating design. The V12 TDI is closely related to the engine in the Audi R10, the two-time Le Mans winner - so it catapults the Audi R8 into supercar terrain concerning performance too. It sprints from zero to 100 km/h (62.14 mph) in just 4.2 seconds and its top speed is well over 300 km/h (186.41 mph). The peak torque, reached at only 1,750 rpm, paves the way for effortless acceleration that is unrivaled even at this level. The new V12 TDI belongs to Audi's family of V engines but has the ideal included angle for this engine type of 60 degrees between cylinder banks. Its highlights include the new chain drive layout that includes the two newly developed high-pressure pumps for the common rail injection system. Its sound is as thrilling as you'd expect in a sports car of this caliber. For all the subtle smoothness that typifies this design principle, the twelve-cylinder unit is full-bodied and equipped with energetic overtones that make no secret of its performance potential. The roadgoing version of the new V12 TDI is built at the Györ plant, in Hungary. And the R8 V12 TDI still has a massive 500 hp on tap. In developing the six-liter engine, it was a clear priority to integrate it into the current family of Audi V engines, of which many thousands of versions with 6, 8 and 10 cylinders have already been built - both gasoline and TDI. The 83.0 mm (3.27 in.) bore and 91.4 mm (3.60 in.) stroke produce a total displacement of 5,934 cc - just like the 3.0 TDI. At only 684 mm (26.93 in.) long, this large diesel engine is very compact and just 166 mm (6.54 in.) longer than the V8 TDI. This compact length is key to accommodating the V12 in the midengined Audi R8. The V12 TDI crankcase is made from gray cast iron with vermicular graphite - a high-tech material referred to as GJV-450 that is already used on the V6 and V8 TDI engines. GJV-450, made by a patented casting process, is about 40 percent more rigid and 100 percent more fatigue-resistant than gray cast iron. This enabled the developers to make its walls thinner, cutting its weight by around 15 percent compared with conventional gray cast iron. As is the case in the Audi V engines, the no-maintenance chain drive is mounted at the back of the engine, where it occupies little space. Its layout has changed on the new V12 TDI. The camshafts' sprocket engages in an intermediate gear via which two Simplex chains drive the camshafts. Two more chains drive the oil pump and the two high-pressure pumps actuate the common rail injection system. The current generation of so-called inline injectors makes effective use of the piezo effect: piezo crystals expand in a fraction of a millisecond when an electrical voltage is applied. The number of injection processes per operating cycle can be varied across a wide range thanks to piezo technology - reaching as many as five fuel injection operations in the case of the V12 TDI. The two turbochargers are located on the outside of the engine's V, each of them supplying one bank of cylinders. Thanks to their variable turbine geometry, the full flow of exhaust gas always passes through the turbine, so the chargers respond slickly - even at low engine speeds - and operate very efficiently. The heart of the system is a special catalytic converter downstream of the oxidizing catalyst and the particulate filter. The second component in the system is an additional tank containing an aqueous urea solution. Small quantities of the solution, known as "AdBlue," are injected into the exhaust system. The hot exhaust gases break the solution down to form ammonia that splits the nitric oxides into nitrogen and water. The system remains effective for the entire service life of the vehicle. The dynamic character of a sports car depends not just on its performance and torque; the transmission ratios have to be right too. In keeping with the character of a high-performance sports car with unbeatable torque potential, the transmission in the R8 V12 TDI has six manually operated gears. The manual transmission is very compact in design. Together with the smalldiameter double-plate clutch, this means it can be installed low down. The manual transmission has very short shift travel and utterly precise guiding of the shifter into the open gear lever gate. It is made from polished aluminum, has an agreeable feel and exquisite sports car looks. Yet another tuner is taking a swing at the new Audi A4 and A3 Convertible models. This time its O.CT Tuning that has released new performance kits for the A4 2.0 TDI with 120HP and 143HP as well as for the A3 Convertible 1.8 TFSI. For the diesel powered A4s, a reprogrammed ECU boosts output of both variants of the 2.0 TDI to 168HP and 375Nm or 277 lb-ft of peak torque. According to O.CT, the 168HP A42.0 TDI accelerates from 0 to 100km/h (62mph) in 8,0 seconds versus the 143HP stock model's 9,4 sec. Furthermore, the Austrian tuning house claims that while the standard A4 2.0 TDI needs a distance of 1,600 meters (about a mile) to reach a speed of 180 km/h or 112mph, O.CTs version hits the mark after 1,100 meters or 0,7 miles. Similary for the A3 Convertible, , O.CT Tuning's upgraded ECU adds an extra 45HP to the 1.8 TFSI 160HP engine for a total output of 205HP that helps the car accelerate from standstill to 100km/h in 7,3 seconds, or around 1 second faster than the standard model. Even though O.CT Tuning concentrated on the A4 and A3 Convertible models, apparently the software upgrades apply on any models with the same engines. With spy shots already out in the open, so to speak, anticipation is running rampant on the upcoming convertible version of the Audi A5/S5 coupe. The cabrio is anticipated to replace the convertible version of the A4, and is tipped to make its debut at the upcoming Paris Motor Show. According to previous reports we are likely to see the Audi A5/S5 Cabrio hit the autoshow circus in January in Detroit, to aid us in our anticipation of the model we now bring you the latest rendering/photochop of the top-spec S5 model. With the A5 coupe starting life as a 2008 model, expect to see the A5/S5 convertible arrive next spring as a 2009.